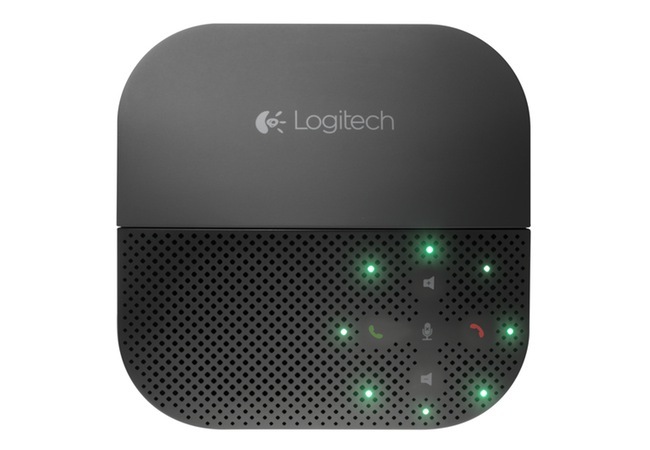 Logitech has today unveiled a new addition to their range of smartphone and tablet accessories with the launch of their new Logitech P710e speakerphone. Logitech has designed the new Logitech P710e to be compatible with NFC smartphones and tablets and the compact dock can provide up to 15 hours of use on a single charge. The Logitech P710e has been designed to enable individuals or small groups to easily set up an instant telephone or Skype conference virtually anywhere. Watch the video below to learn more about the Logitech P710e speaker and see it in action. 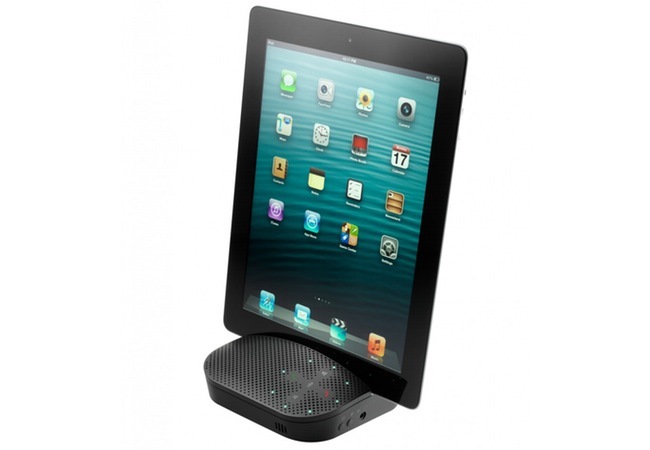 Logitech has equipped their new Logitech P710e speakerphone with a sliding top section that when pulled back reveals an integrated stand for your phone or tablet to rest in whilst in use. Also during audio-only calls, users can position their tablet in the integrated stand, and then pair it with a Bluetooth keyboard for instant to be able to also take notes during the call. The Logitech P710e is also USB plug-and-play capability making it easy to be linked to your Mac or PC desktop or laptop when required. The new will be available in the coming months and will be priced at $170. For more information jump over to the Logitech website.